Wolves and Warriors is an American 60 minute reality nature television series, which kicked off on September 1, 2018, on Animal Planet and is broadcast every Saturday at 22:00. The show is currently in its 1st season. Animal Planet is yet to announce the renewal of Wolves and Warriors for Season 2 as well as its cancelation. Sign up to track down the show's status and its release date. 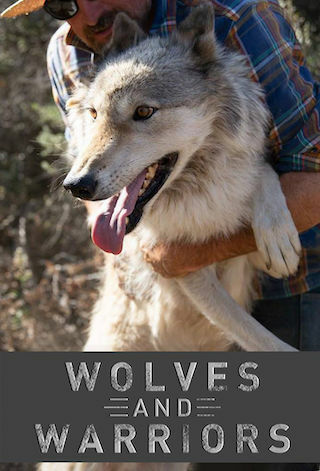 Wolves and Warriors follows U.S. Navy veteran Matt Simmons and Dr. Lorin Lindner, the husband and wife team behind Lockwood Animal Rescue Center (LARC), a private sanctuary that rescues wolves and wolf-dog hybrids whose lives are threatened by poachers, illegal breeders and other perils. Episodes document high risk rescues and rehabilitation efforts undertaken by Matt and Lorin, who are joined by combat veterans working to overcome the traumas of war. LARC employs a team of veterans who help rescue and care for the wolves as a way of recovering from the anguish they've experienced. For Matt, Lorin and the team, every mission is critical - from perilous wolf rescues, to investigations into underground fur-farms - and they all provide opportunities for combat veterans to heal and find their place in civilian society.